Now that Amanda Cadabra and The Cellar of Secrets – Book 2 in the series, has been out for two whole months, I am opening a locked dossier. Maybe you’ve wondered how an author does research, and this may give you some insight. 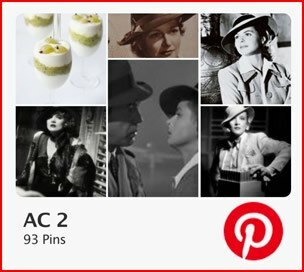 Most of it takes place on the internet, and I save the relevant pages to my browser bookmarks, but, more interestingly, I gather inspirational and informative pins into a private Pinterest folder for the book. If you would like to get a taste of the background research for Amanda Cadabra Book 2, the link is here. 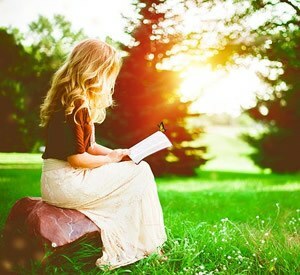 What about Amanda Cadabra Book 3? I am 25% of the way through writing it. The plot is about to be dispatched to my excellent cover artist so his creative genius can begin formulating visions, one of which will be the final version that you will see in the partial then full cover reveal. At present, I hope the publication date to be at the end of March or beginning of April. I’ll keep you posted. 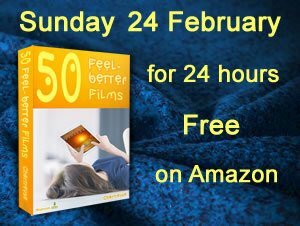 Meanwhile, on Sunday, 24th February, for just 24 hours, you will be able to down load free from Amazon, another publication from Heypressto: 50 Feel-better Films by Chartreuse. 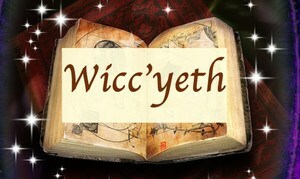 This is the first in the Feel-better Collections series and is the product of years of research. If you’d like to start getting into the zone for Amanda Cadabra Book 3, I recommend Random Harvest, especially the beginning. I’ll say no more! Have I said too much? Here the UK, early signs of spring are warming the air, painting the sky blue and encouraging the first daffodils to show their faces. 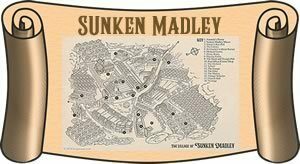 A trip up to the real Sunken Madley will soon be called for to capture the new season there. As I write the opening chapter of Amanda Cadabra Book 3, Heypressto releases 3 non-fiction books. The Feel-better Collections by Chartreuse are now becoming available beginning with Book 1. Is there a link between these and the Sunken Madley chronicles? Yes. 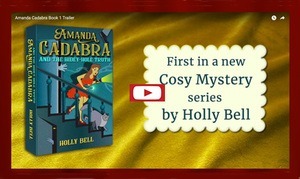 Cozy mysteries are feel-better novels, gentle, distracting, humorous and with happy endings. They are stories that leave you feeling that the world is a kinder, safer, softer, more joyful, friendlier yet exciting place than you may have felt it was before you were reading. And if it the case, as I believe, that you get what you focus on then the reader may actually begin to experience a better feeling environment. So what are they about? The first is 50 Feel-better Films. ‘Why not feel-good? Because at the bottom of the emotional staircase you can’t just ‘cheer up’. But you can feel better. Even if it’s just a little. Film from this collection drawn from 8 decades, about people dealing with the top 9 life crises, have helped others. They may help you or someone you care about. Some of the movies are famous, some obscure. The main characters are from all kinds of backgrounds. The cinematic art quality ranges from Oscar winner to chick-flick, from great work to critical flop, from UK, US, Australia, France and India, from animation to restored black and white, from Random Harvest made in 1942 to Wonder, released on DVD in 2018. There are no tales of fixes of what is broken, only new and improved. There are no deaths of subsidiary characters we have grown attached to, there is no wistful sadness; there is only hope, fulfilment and happiness at the ending of each of these stories. 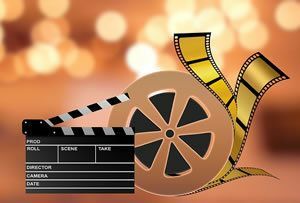 You may not be ready even for the inspirational and motivational and so, although these films are also those things, this list is designed simply to include something that may soothe, comfort or encourage you into a better feeling emotional place. 50 Feel-better Songs from Film and TV was a natural progression from Book 1. Each song is about coming from a bad situation into a better feeling place, even if that isn’t yet a physical one that you can see. From 11 decades and 8 genres pop, pop-rock, jazz, reggae, RnB, soul, musicals and classical, some are slow, some upbeat. 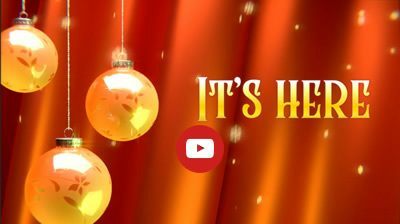 Each song has links to lyrics, Youtube where you can see the clip where it was sung live or in a movie, and to Amazon where you can listen and download. 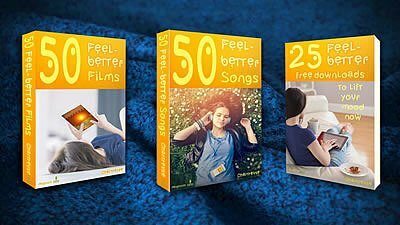 Every song in this list, inspired by Abraham Hicks’ emotional scale, has soothed or comforted or inspired someone somewhere, in however small a way, to feel better. Two more collections are on the table at the moment. Book 1, films, and Book 3, downloads, are now available from Amazon Kindlebooks with book 2, songs about to follow. Meanwhile, what of Sunken Madley? What tidbits can I let fall about the sequel to Amanda Cadabra and The Cellar of Secrets? Well, there will be 4 new characters. The village is about to receive new residents. There is a project afoot. The past will once again become entangled with the present. All of the old favourites return: Amanda Cadabra, Granny and Grandpa, Detective Inspector Trelawney, his former boss the retired Chief Inspector Hogarth, and, of course, the star of the show, in his opinion, Tempest, Amanda’s irascible feline familiar. Plus the local Festival of the Feast of the St Ursula of the Orchard. Will Trelawney finally get his tour? To help while away the weeks between now and the release of Book 3, I am working on some quizzes for you to have fun with. Please do drop me a line, or comment on Facebook or below if this is something you would enjoy. In time for the New Year for those of you who received book tokens in your Christmas stocking, it comes with the bonus extra from Matchbooks. This Amazon option allows you to buy the paperback and get the Kindle edition for just 99 cents. 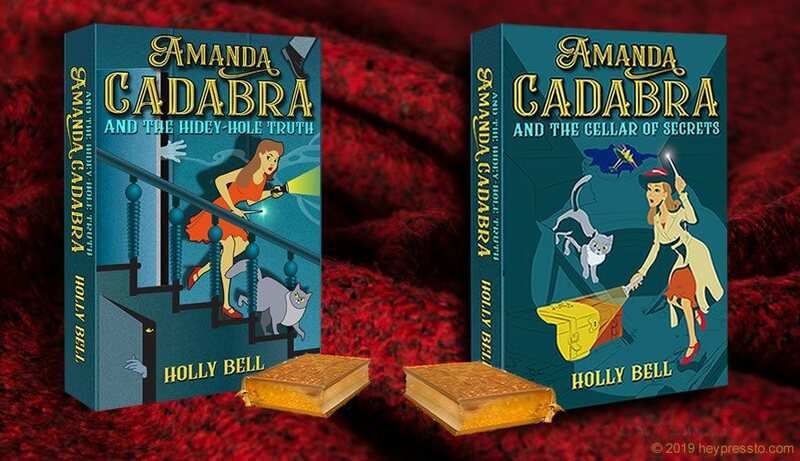 Over the holidays, both editions (Kindlebook and paperback) of both Amanda Cadabra and The Hidey-Hole Truth and Amanda Cadabra and The Cellar of Secrets something extra will be crated to enhance the experience of the story. It will appear here on amandacadabra.com and in four other places. I hope to unveil this shortly. 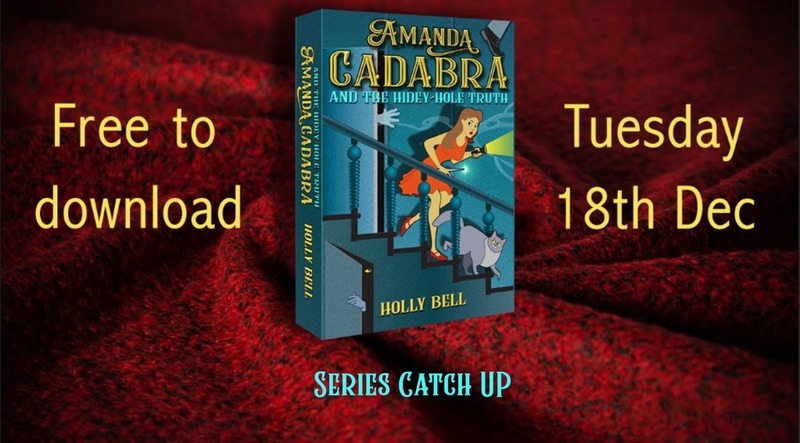 Furthermore, during the coming days, Heypressto, which publishes the Amanda Cadabra series will be beavering away on the publication of two new ‘feel-better’ non-fiction books. News of those to follow. Just after New Year’s Day, writing will begin of Amanda Cadabra Book 3. 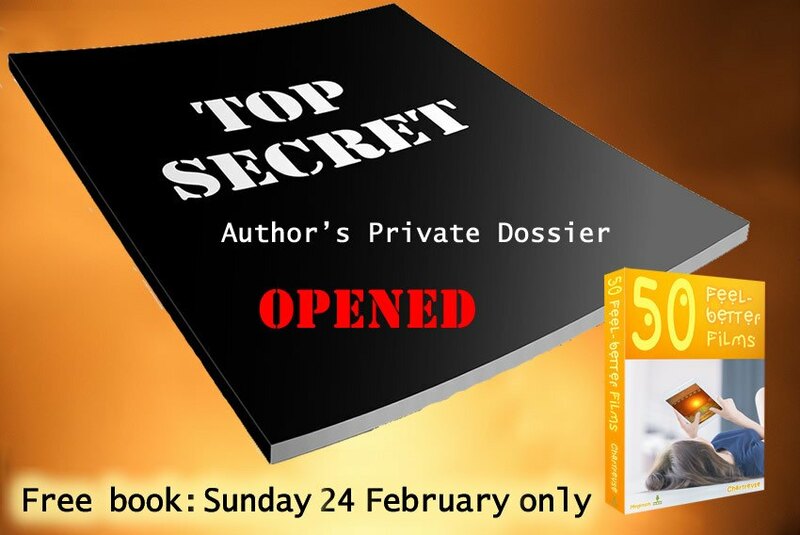 If you would like to be a VIP Reader that gets an advance copy of the manuscript in order to give me feedback before it is prepared for publication, there are still spaces available in that limited numbers group. Please join if you have the time to read and reply within 7 – 14 days of receiving the manuscript. May I thank those readers who gave me valued input on Book 2 before it reached its final form. I hope you’ll want to stay on board for Book 3. Today is the day to catch up on Book 1 of the Amanda Cadabra Cozy Paranormal Mysteries series. This will be the last special offer day before the holidays and likely this year. Here’s a little video for you for the event. 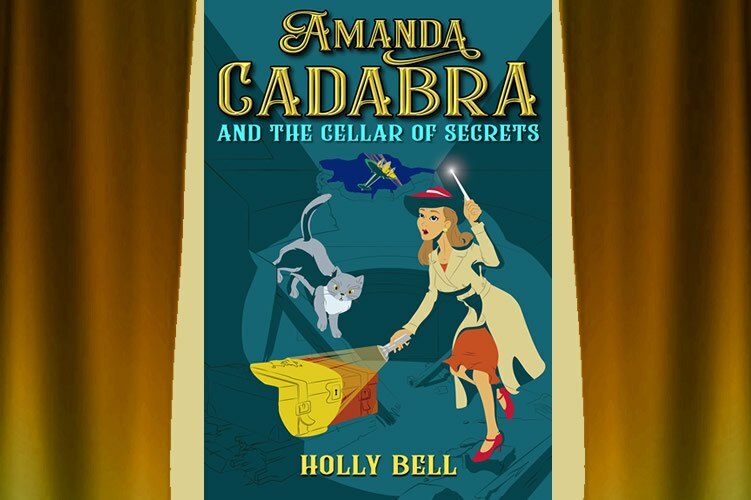 The next landmark is the release of Book 2, Amanda Cadabra and The Cellar of Secrets in paperback. 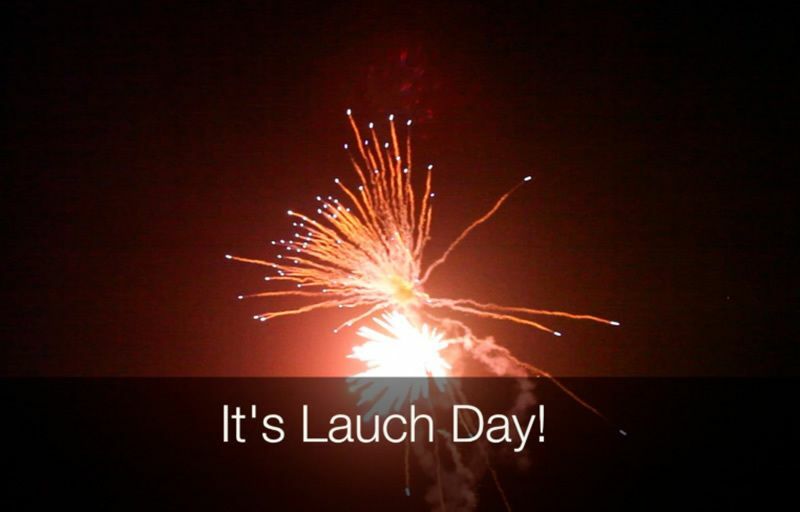 That’s only a matter of days away and I will announce the launch here for you. That’s all the news for now. Thank you to all of the readers, the downloaders, the word-spreaders, supporters and encouragers who have contributed this year to the wonderful Amanda Cadabra ride which started on 2nd January this year. That was the first day of writing Amanda Cadabra and The Hidey-Hole Truth, and the journey continues 11 months later with two Kindle books, one paperback published, new friends, among you, dear readers, discovered and a whole new world of Amanda and Sunken Madley shared with you (and lots of it now bubbling away). Looking forward to more. Book 3 is already writing itself. There’s no stopping it. But then, I wouldn’t want to. Back in a few days with paperback news. 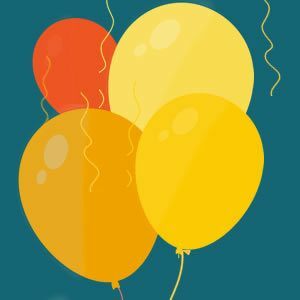 Just a quick post to celebrate Launch Day of Amanda Cadabra and the Cellar of Secrets with you. Thank you for all of you who pre-ordered, purchased, spread the word and gave support and encouragement even in spirit. Remember that Book 1 is free to download from Amazon on Tuesday, 16th December, so if you want to either catch-up or stock up on your holiday reading, now is your chance. The proof of the paperback should be arriving on my doorstep on Friday, so as soon as I’ve checked it and made any corrections so that it’s the best that it can be for you, I will click the ‘Publish’ button, and it will be available for you to buy. I will put it on ‘Matchbooks’ so if you buy the paperback then Kindle version will be only $0.99 so there’s a gift for someone and a treat for you in there. 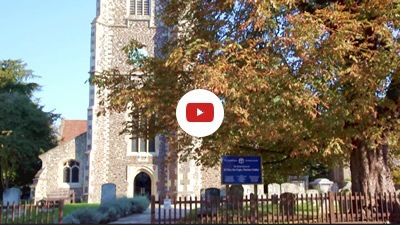 Meanwhile, I am preparing some new Christmas inspiration for Sunken Madley church for you. Looking forward to sharing those with you and news of the paperback. The official trailer for Amanda Cadabra and The Cellar of Secrets is now live on Youtube and here on the website. Just click on the photo to watch it. If you would like to leave a comment that would be great. Feedback is immensely helpful in making future trailers, knowing whether it said too much, too little or just the right amount, for example. As promised, here is some news of an extra goody in the pipeline. 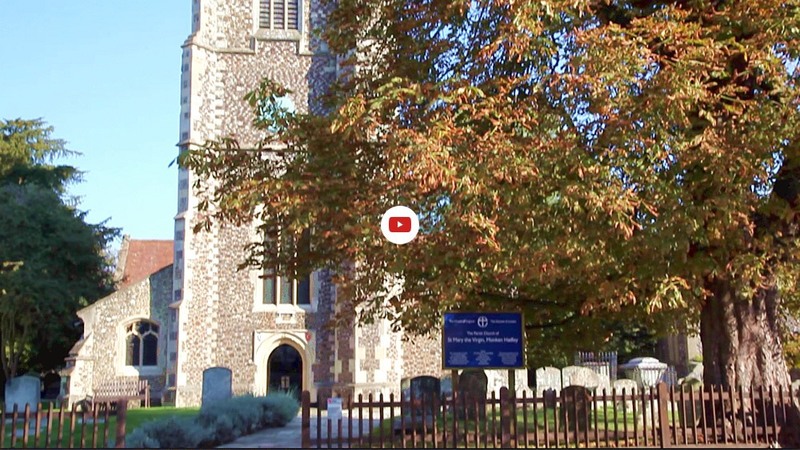 A short Christmas video is planned of the ‘Sunken Madley’ church in all its festive array, with possibly something special added, that is currently in the negotiation stage so I can’t say any more at present. Although it is already available for pre-order, the launch day for the release of Amanda Cadabra and the Cellar of Secrets is just two days away now so I must get back to finalising the paperback so that it can be available for you as soon as possible. Exciting times! 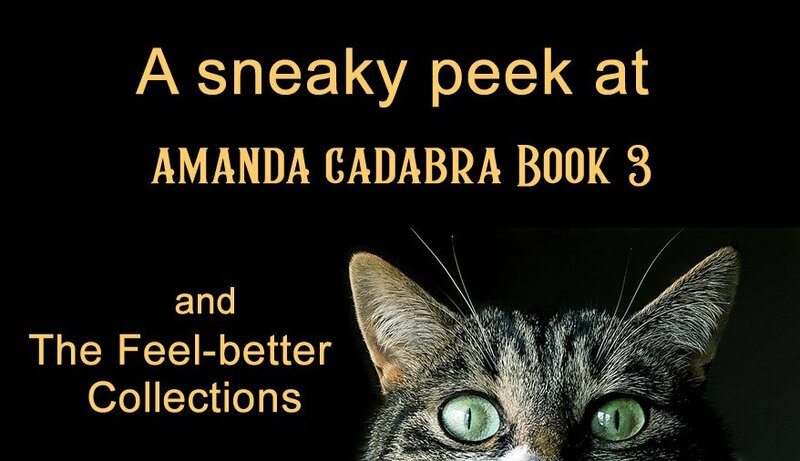 Amanda Cadabra and The Cellar of Secrets, Book 2 in the Amanda Cadabra Cozy Paranormal Mysteries series, is now available on Amazon for pre-order prior to its launch on Sunday. And here for you is the full cover reveal of the Kindle edition (the full cover of the paperback is in preparation as I write). I hope to have the paperback ready for you soon after Sunday and will let you know. Once again I wish to express my thanks to my illustrator Erik Patricio Lúa for his creation. The book has two new maps: (thanks to artist Methmeth) an expanded one of the village and an all new and especially charming one that I hope will both intrigue and assist you in your journey through the story. 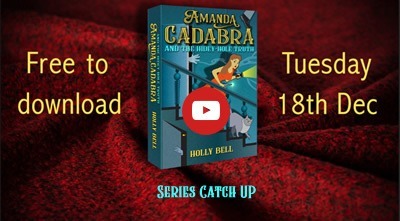 Tomorrow will see the release of the trailer for Book 2, sequel to Amanda Cadabra and The Hidey-Hole Truth, here on amandacadabra.com and on Facebook, Twitter, Pinterest, Instagram, Google+, YouTube, Goodreads and Amazon (author page). Just three days till launch. Why the fever to release the paperback hot on the heels of the Kindle book? So I can ‘matchbook’ the two. What does this mean for you? It means that if you buy the paperback, as a gift, for example, you can get the ebook at a greatly reduced price. I want this to be ready for you for the holidays and the present buying season. Trailer release tomorrow and news of another surprise, for Sunken Madley fans, in the pipeline. It is my great pleasure to open the curtain (just enough) on the cover art by my new illustrator Erik Patricio Lúa who has been working tirelessly, bringing his extraordinary talents to the table to create the image on the jacket. The action continues 10 days after the events of Amanda Cadabra and The Hidey-Hole Truth finish. 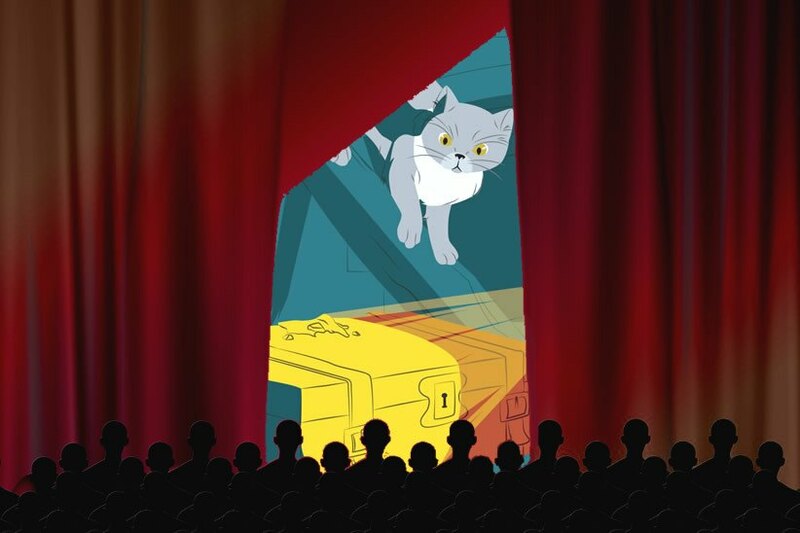 Covert witch and asthmatic furniture restorer Amanda, and her grumpy cat Tempest, are confronted by a suspicious death. ‘Being the person who finds the body never looks good.’ Amanda has no alibi. There’s only one witness, whom the police can’t see. Grandparents Senara and Perran tell her to use her resources. But what to do when they are exhausted? Time is running out. Amanda has asked too many questions. There’s no going back. The answer is in a place only she can go: The Cellar of Secrets. Readers who enjoy the first book will be pleased to find that Detective Inspector Thomas Trelawney and former Chief Inspector Mike Hogarth return, together with the villagers, including Joan the postlady, Mrs Sharma at the post office, the ladies at The Grange, and Mr Hanley-Page, the demon driver, among others. There is excitement in Sunken Madley over an event on the edge of the village that is drawing in a number of visitors and a new workforce. But not all are what they seem. This book has its own stand-alone whodunnit, but you’ll relish it even more if you’ve already met the villagers and the Cornish detectives in Book 1, where the series’ underlying mystery begins. The release date can now be announced: Sunday, 16th December, in time for Christmas. The paperback will be following close on its heels. Look out for the new trailer release in the next couple of days. A full cover reveal will follow soon. 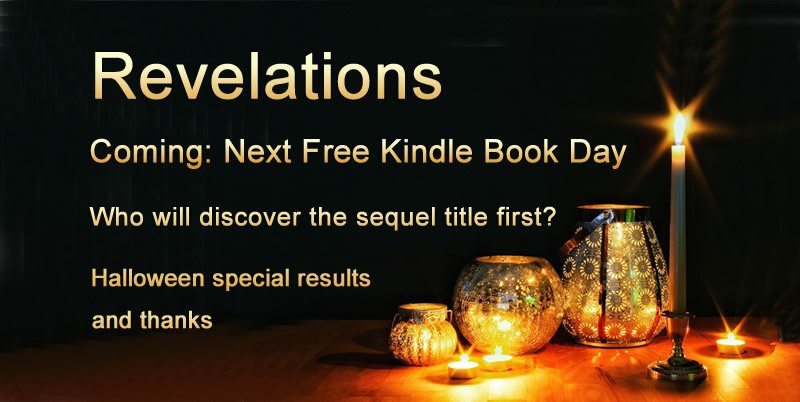 If you are enticed by Book 2 and have yet to read Book 1, then a day or so after the launch there will be a free promotional Kindle e-book day to allow fans of Book 2 to catch up and download Amanda Cadabra and The Hidey-Hole Truth, saving their cash for the new sequel and the paperback. Looking forward to entertaining you in the world of Sunken Madley with Amanda Cadabra. If Amanda Cadabra and The Hidey-Hole Truth delighted you in any way, there is still time to post a review on Amazon, Facebook, Twitter, any social networking site in fact, or Goodreads and Bookbub. I would be overjoyed. 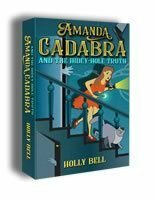 First, let me thank everyone who downloaded or spread the word about the Halloween special offer of a free Kindle version of Amanda Cadabra and The Hidey-Hole Truth. After thousands of downloads that day, there were peak sales and extra reviews. 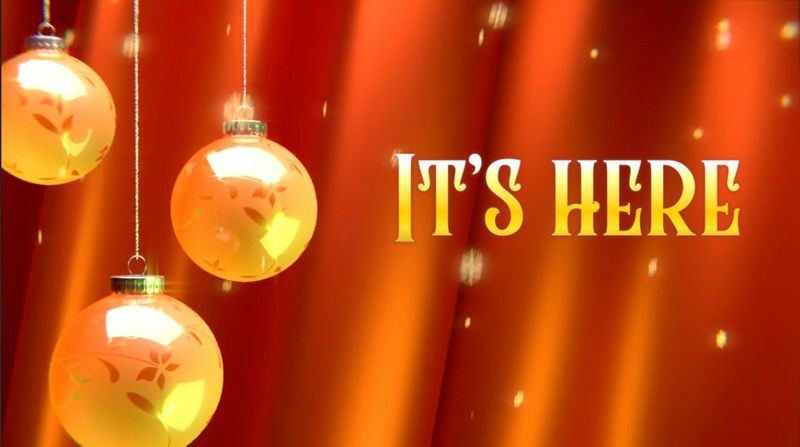 In fact, it was such a success and so popular, that this coming Black Friday, there will be not just one day, 23rd November but also Sunday, 25th November, when you or your friends will have the opportunity to read the first book in the series, free, before the release of the sequel that should be out before Christmas. And if you read and liked the story, please share the love and let your friends know. Who will be the first to discover the title of the sequel? 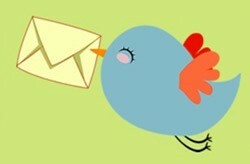 It seems only right that it should be those of you who have kindly joined the mailing list. If you have yet to do so, and would like to be in the know, or would like to join the limited select group of VIP Readers who participate in advance reading of the book before publication and give valued feedback, there is still time. But we are only days away now from the book going out that special group. Amanda Cadabra Book 2 will be released as a Kindle e-book as well as a paperback. This should be available in time for Christmas for those of you who love to give books as presents. 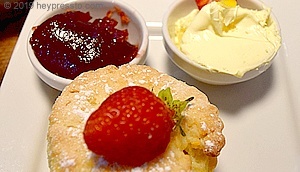 It also makes a treat for yourself. Please stay tuned for the title reveal here, and soon the new cover.